I have massive problems with my gut health and I have had them since suffering severe food poisoning two years ago. Since that day, my gut has turned into an unhappy monster. I now have a severe intolerance to gluten (although my doctor says she suspects that I have always had a sensitivity to it) and I am adverse to a bunch of other foods (including sweet potatoes! *tear*). I was out with my mother-in-law and Grammy-in-law a couple of years ago for my husband’s bday dinner. The restaurant we were thinking of was takeout only. Since it was getting late and we were all starving, we picked a hole-in-the-wall Vietnamese restaurant (I don’t remember the name, but it was in Marda Loop). I quickly went to the bathroom to wash up before ordering. Oh my, that bathroom was in rough shape. Now, if I had heeded Anthony Bourdain’s advice that ‘the state of the bathroom reflects the cleanliness of the kitchen’ I would never have ordered. But, with hunger clouding my judgement, I ate anyway. I then suffered from days upon days of food poisoning that eventually forced me to the doctor. I was given medication that would stop the food poisoning but continue to ravage my gut. I was given advice to follow up the medication with a diet of probiotic heavy food. I did that, but it still damaged my gut enough that it has never recovered. After that round of medicine, I discovered my intolerance to gluten. After I would eat gluten, there would be a slew of symptoms. With the help of my doctor, I narrowed the food culprit down to gluten. Getting “glutened” means I become best friends with the toilet for a couple of hours but it also means: severe bloating that mimics 6-7 month pregnancy stomach, joint pain, migraines, nausea, severe fatigue and irritability. Even if it courses through my body in one day, the other symptoms stay for a couple of days to a week. 10 Signs Your Gut Needs A Makeover: This article resonated with me the most. I have almost EVERY SINGLE SYMPTOM (minus the asthma) on this list. I sent it to my husband and he sent a text back that said “That’s you!” My gut definitely needs a makeover. If you read this article and your head bobs yes as much as mine did, perhaps you will also find yourself considering buying her book. You can CLICK HERE to read the article. 4 Things That Are Wrecking Your Gut Health: Dr. Terry Wahls turned around her progressive MS symptoms by healing her gut and has written a lot of articles on it for MindBodyGreen to spread the word. She wants everyone as healthy as she is; being a doctor means she takes a very clinical approach. I liked this article because it highlights what medicines or vitamins wreck your gut and cause you pain down the road. I definitely think “do I REALLY need this?” before taking Tylenol for a headache now (I usually don’t. I’m usually dehydrated), or before I accept a prescription from my walk-in doctor. You can read the article HERE. Gut Health: Everything You Need to Know: This is a great crash course on the importance of the gut and its role! It explains why it is called your “second brain” in a quick and readable format. It is a good jumping off point if you aren’t sure if it is your stomach or gut causing you problems. You’ll marvel at all of the things your gut controls. You can find it HERE. The Brain-Gut Connection: Yes, the brain and the gut talk! As does everything in your body since we are a fascinating machine. It is a very quick read and is a good supplement to more research. You can read it when you CLICK HERE. 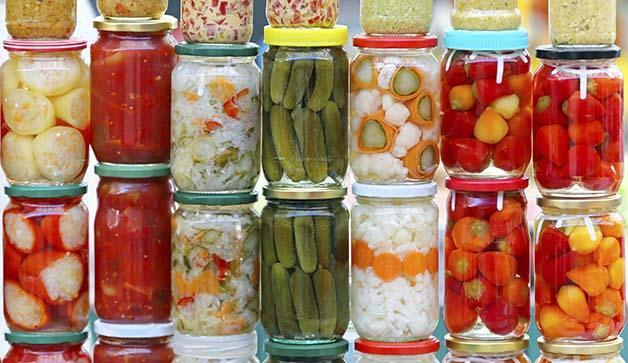 What Should I Eat For A Healthy Gut? : This was a really fun page to read, full of visuals and boxes of related articles. I recommend giving it a look! I love that they separated ‘eating right for your microbes’ and ‘the truth about “healthy gut” foods’ because it highlights the hype from the facts. The truth is, eating right for your gut is VERY trendy right now and a lot of companies have pegged on to this fact, selling you drinks or food that swear gut-health but actually are just as bad for you as other things because of the added sugar and additives. Simple is often better. Check out this page HERE. 26 Foods For a Healthier, Happier Gut : This is a pretty good page that lists a few foods that are gut friendly. Just remember, even with these, moderation is the key and that anything pre-packaged should be read to see what it has for additives and sugars. You can find their quick list of foods at THIS LINK. 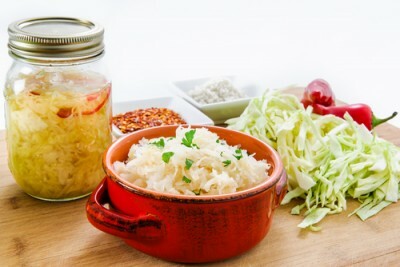 The 9 Best Fermented Foods For Your Diet: I see this same list over and over. I try to find as many as I can in Superstore or Safeway and go to a health food store I trust if I don’t find them there. A couple of them I could definitely be making from scratch but I haven’t made the time. I think this is a pretty standard list and if you CLICK HERE you can read it. (Although if you try natto, don’t feel bad if you hate it. In Japan, it was a standard food but everyone I asked said they ate it to “stay healthy” and not because it smells or tastes good). As with all of these food lists, keep in mind that it never hurts to check the label and that it is very important to “eat the rainbow”. I hear over and over that the most important thing is to eat a high variety of beans and legumes, fruit (full of fiber are the best choices) and vegetables (especially green leafy veggies). Keep up your iron intake with iron-rich foods and don’t forget to take a B-vitamin supplement. I am no expert but I have done a lot of research that I have double-checked with my doctor. Next step- see if I find a great nutritionist that I trust and see if they also agree. These are lists that seems to have some backing and whose info keeps getting supported over and over again. I hope this helps you get on the road to better gut health! Let me know if you find anything else useful on the vast interweb. Have you fixed your gut problems?! COMMENT BELOW. I would LOVE to hear what worked.